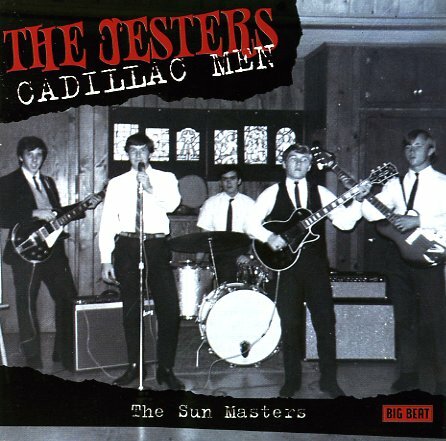 Raw and blistering garage rock from The Jesters – who released a few singles on Sun in the mid 60s full of ferociously rugged, Memphis blues and r&b tinged rock sounds! Cadillac Men features tunes that hold up incredibly well with the best garage rock of the era – featuring several nuggets released as singles, but nearly half of this stuff has never been properly issued at all! The vocals, bass and drums are raw and rumbling while the guitars occasional break out into surprisingly dexterous lead by Teddy Paige. We listened to half of the CD and enjoyed every second of it before a perusal of the notes informed us that Sam Phillips' son Jerry was in the group – so if nepotism got them in the studio, it certainly has no bearing on our true enjoyment of the fruits of it! 18 tracks, including a few by the later affilliate combo The Escapades, with titles including "The Big Hurt", "Stompity Stomp", "Cadillac Man", "Heartbreak Hotel", "My Babe", "Night Train From Chicago", "Strange As It Seems" and more., © 1996-2019, Dusty Groove, Inc.